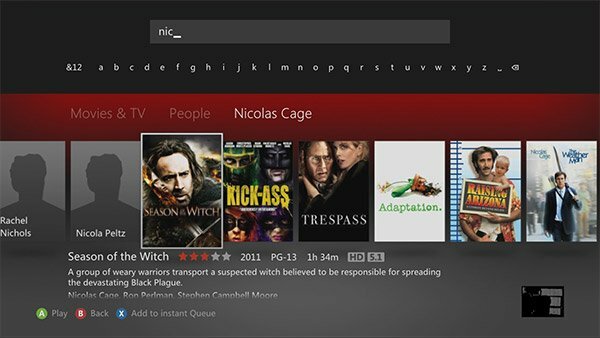 Netflix has offered what it calls its People Search feature on the PS3 for a while. 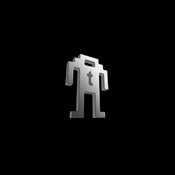 Anyone that used Netflix on the PS3 and has conducted a search for a movie has used the function whether you knew it or not. The way the search function works is as you type in letters, content related to those letters pops up on your screen. 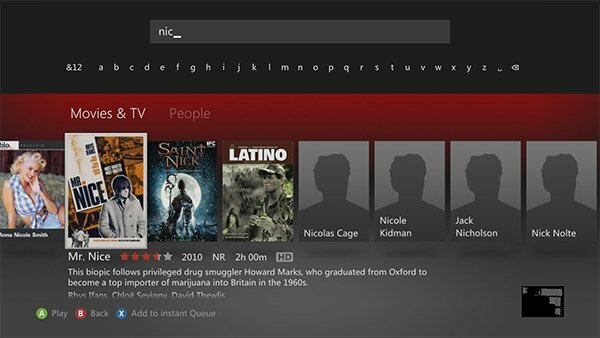 People Search is now available for Xbox 360 Netflix users as well. If you start typing any letters, you will be greeted with a bunch of movies that have those letters in the title as well as the names of actors and directors. In the instance of searching for “nic” you would get people results for Nicolas Cage, Nicole Kidman, Jack Nicholson, and others. If you’re looking for movies that have those specific actors in them, all you need to do is click their name to drill in and see their films. Once you click their name, more results featuring those actors will be offered on the page. Frankly, I’m not a big fan of People Search on the PS3 because I think it returns too many results that have nothing to do with what I’m looking for. I’d rather see search results only return movie titles that start with the letters I enter rather than movie titles with those letters in the middle or people’s names – or at least give you the option to toggle between title and people modes.